St. Louis is a deck ‘kind-of-town’ and a perfect place to enjoy outdoor living. Founded in 1765 the city grew rapidly due to major river ports to the east. As St. Louis’ growth continued westward, St. Louis County was born. St. Louis and St. Charles County residents consider themselves “St. Louisians” through-and-through. We’re united by the Gateway Arch, an abundance of cultural attractions, three professional sports teams, prestigious Universities; all the special things that make St. Louis a great place to live. The topography and climate of the Greater St. Louis area is perfect for outdoor living. St. Louis is near two major rivers and the foothills of the Ozark Mountains. Our landscape is characterized by bluffs, terraces, rolling hills and broad valleys, all conducive for building decks. St. Louis also has four distinct seasons, conducive for screened porches and gazebos, shade pergolas and arbors, patio covers and under deck systems. It’s undeniable, the Greater St. Louis landscape and our weather patterns are ideal for outdoor living. So whether you live in Mid County, South County, West County or St. Charles County, Archadeck can design and build your ideal outdoor living structure. St. Louis: A deck ‘kind-of-town’ and a beautiful area to enjoy the outdoors! 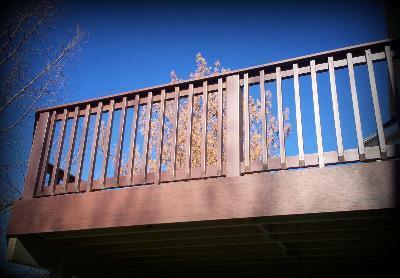 Click here to see custom deck pictures by Archadeck of West County and St. Charles County . You can also view pictures of screen porches, shade pergolas, outdoor gazebos, patio covers, under deck screened enclosures and more. Or call 636-227-0800 to schedule a free, onsite estimate for adding a custom outdoor living space to your home and backyard by Archadeck. If you live outside of the metropolitan St. Louis area, go to archadeck.com for a list of other locations, nationwide.